The Bishop Selwyn Chapel is located behind the apse of the Holy Trinity Cathedral in Parnell. 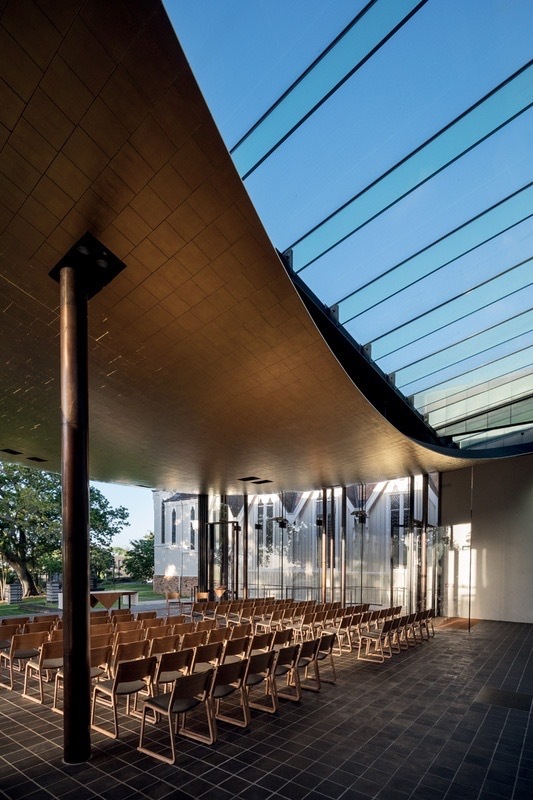 Our task was to gild the ceiling in three colours of gold randomly to emphasize the movement inherent in the undulating ceiling design by Fearon Hay Architects. The 320 square metres of the internal and external ceiling was gilded, centimetre by centimetre, by our team of gilders. The objective was to gild the entire surface of the ceiling (interior and exterior) with three colours of gold leaf (Yellow, Platin and Red), and apply the colours randomly. The gold leaf used was from Florence, Italy, and beaten into leaves specifically tailor-made for this work. The Manetti Gold Leaf factory and Studio Carolina Izzo have worked together for many years. There were some challenges along the way, including dealing with the temperature and humidity, both factors that influence the success of gilding, and the scheduling because the adhesive for the gilding (the size) had to be applied the day before. 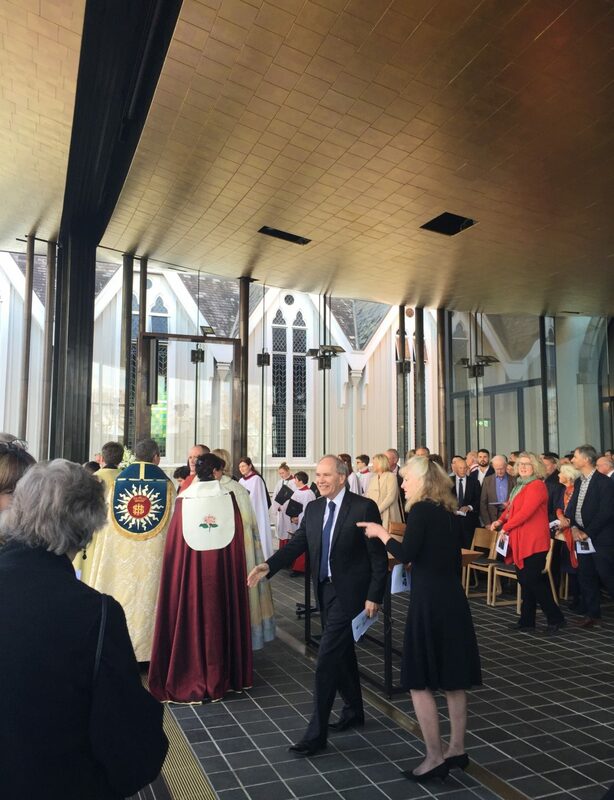 On Sunday 21 August Bishop Selwyn Chapel was officially opened. The official working life of the Chapel can now begin. The ceiling gleamed with its 50,000 plus gold leaves. Studio Carolina Izzo representatives attended the opening and it was an incredibly proud day for us.